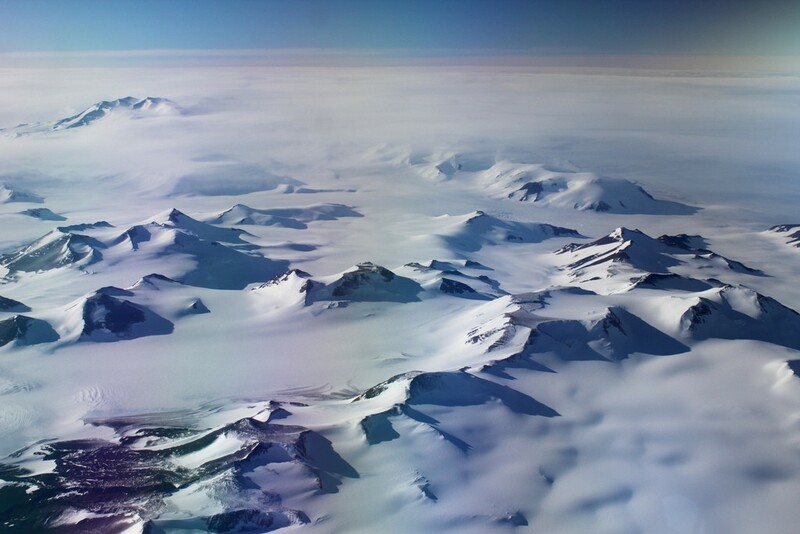 Antarctica and especially the South Pole that lies on it are some of the most brag-worthy destinations on Earth. But few know that it’s not just a place accessible to scientists and other researchers. 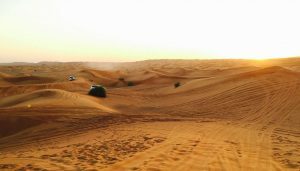 The “average” adventure traveller can head south and stand with the world on their shoulders too. We recently wrote about travel to the North Pole – from where every point heads south; now we discover the South Pole – from where the only possible direction is up! The Geographic South Pole (as distinct from the Magnetic South Pole) is the southernmost point on Earth and is directly opposite the North Pole (which is in the Arctic Ocean). The South Pole sits on the continent of Antarctica, and its coordinates are given as 90°S – in the same way that the North Pole sits at 90° North. The South Pole is on a barren icy plateau where the ice sheet sitting above Antarctica’s land mass is almost 3000 kilometers thick! The ice is moving ever so slowly, so each year on New Year’s Day a small sign that marks the exact South Pole is moved to its new correct position. 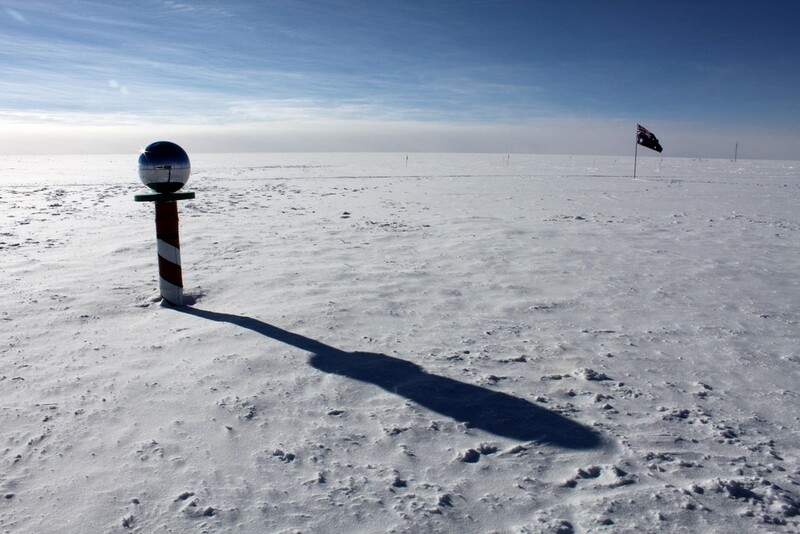 Argentina, Australia, Chile, France, New Zealand and the United Kingdom all have claims over the South Pole. 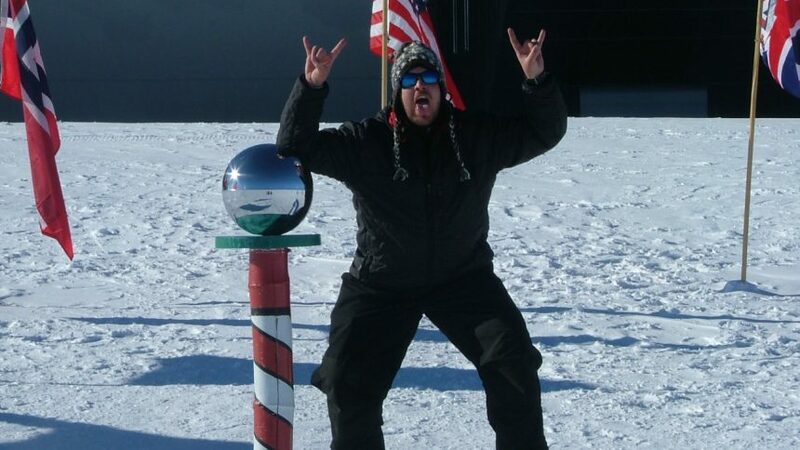 What’s at the South Pole? 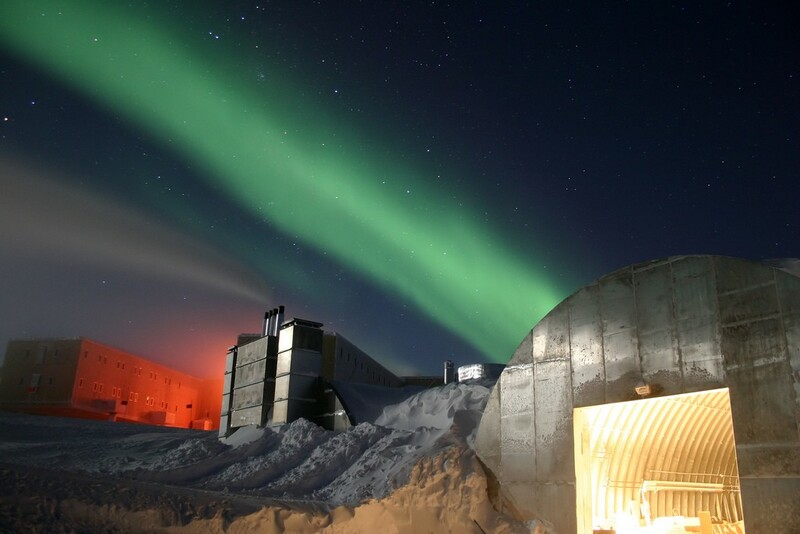 A few hundred scientists and staff are stationed at the United States Amundsen-Scott South Pole Station there. During winter the station is self-sufficient as the cold weather and gale force winds, make bringing supplies by air very challenging. The researchers there are studying glaciology, geophysics and meteorology among other things. During the long winter when the South Pole is in complete darkness it’s possible to see the Southern Lights of the Aurora Australis. The South Pole itself sits in the middle of the coldest, driest and windiest deserts on Earth – not too many organisms survive such harsh conditions. A tour to the South Pole though could also include a stop at the edge of the continent where there are warmer temperatures and more liquid water. 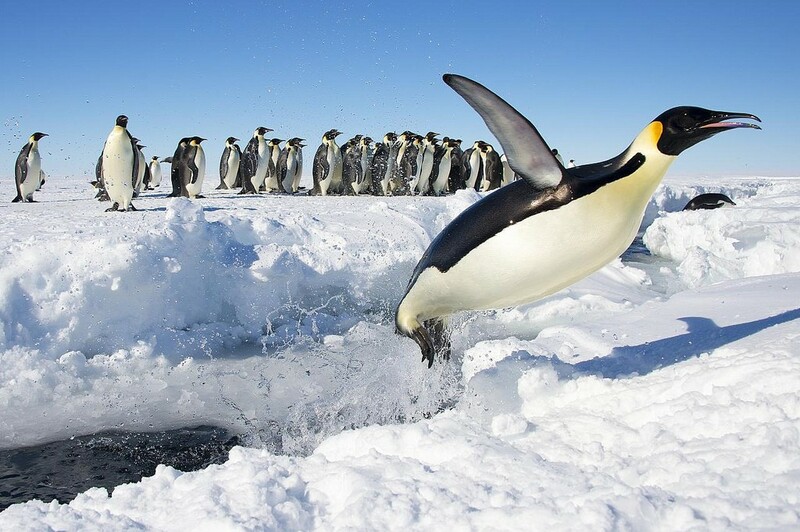 At this point you might encounter plenty of wildlife including birds, seals, whales, or even beautiful Emperor Penguins (pictured above). 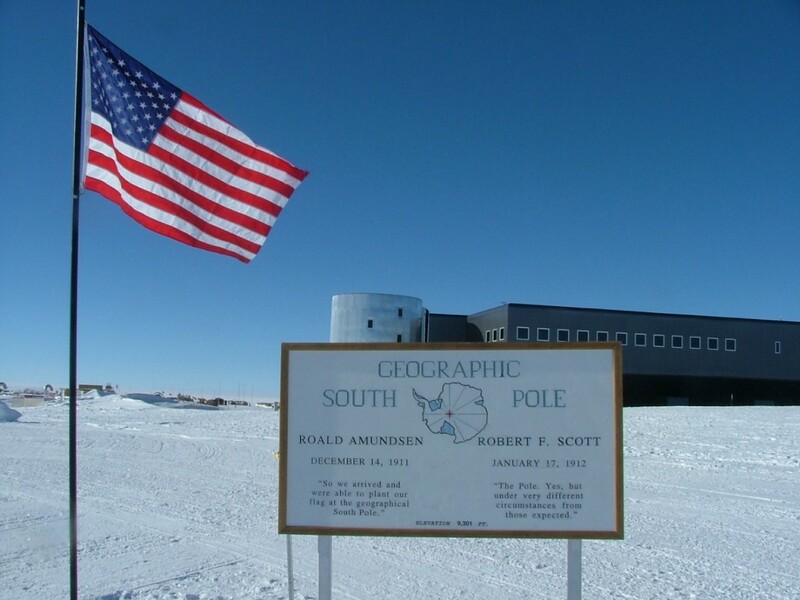 There’s another sign that marks the South Pole, with a commemorative plaque for Roald Amundsen and Robert Falcon Scott who led the first expeditions to reach the South Pole as well as a United States flag. 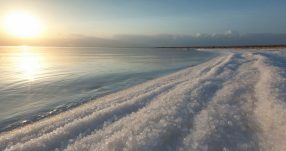 Pack some warm clothes, because unlike the North Pole (which gets to a balmy 0°C in summer), the South Pole is one of the coldest places on Earth – the summer temperatures here are about−25.9°C – yes that’s a minus there! 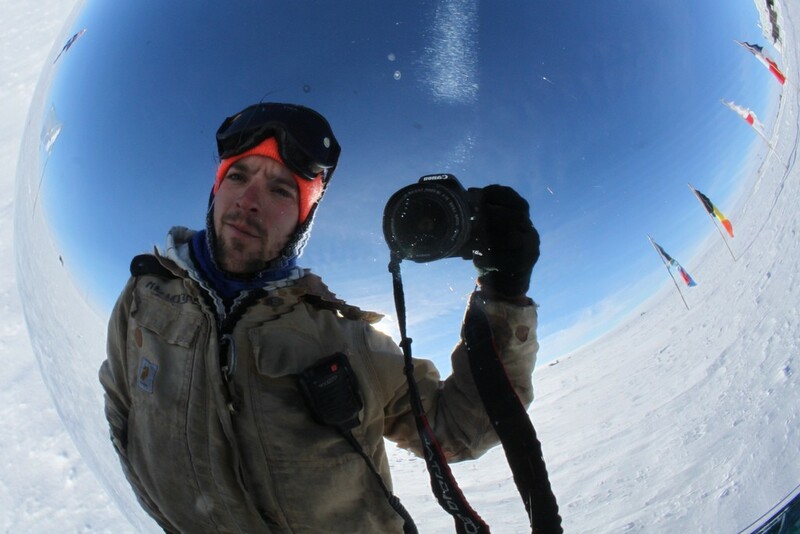 Sunshine at the South Pole kind of operates like an on-off switch. It goes on in September (when there’s a sunrise) and stays on all of summer, until March when the lights slowly dim out and it’s dark for all of winter. It’s kind of like having one long day and one long night. Remember, it’s in the Southern Hemisphere so the seasons are the opposite of what they are in the Northern Hemisphere. 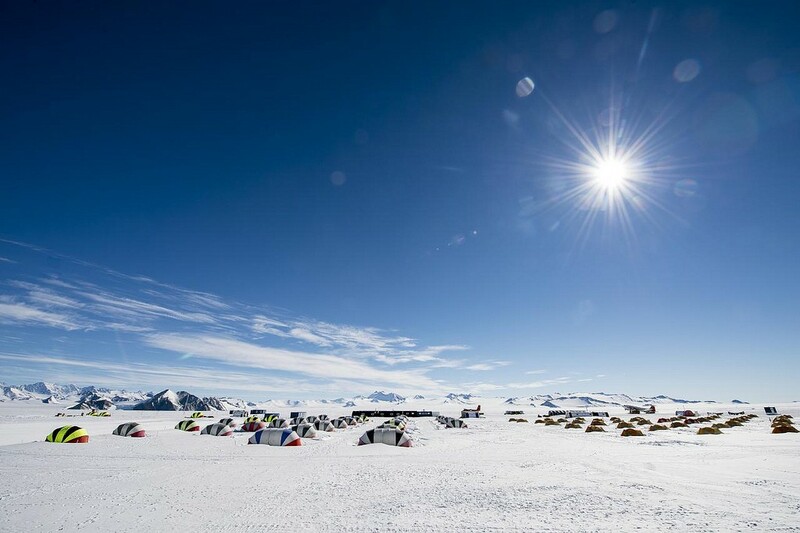 In the photo above you can see the Union Glacier Camp, where many tours have their accommodation for those flying to the South Pole. 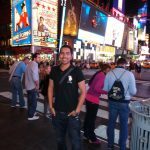 How Can I Travel to the South Pole? 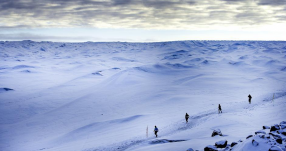 Most tours head to the South Pole November to January during summer. 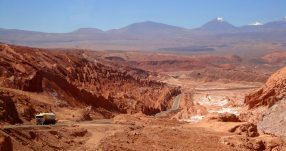 Many of the tours leave from Chile or South Africa, stopping somewhere near Antarctica’s coast where tourists can get used to the conditions and do other activities. 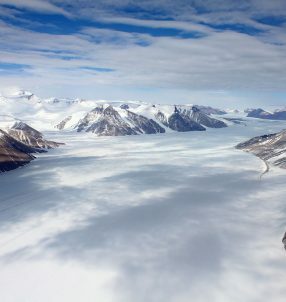 From here the group would go on a day trip (by air) to the South Pole. This is not a cheap holiday, tour operators charge several tens of thousands of dollars per person. 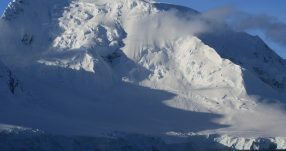 Some tour operators include skiing and ice treks as part of the tour, while others focus just on the South Pole day trip. If you’d like to go on more of an adventure you can sign up for a tour that skis the routes of the initial explorers, or get dropped off further from the South Pole and ski the last portion. 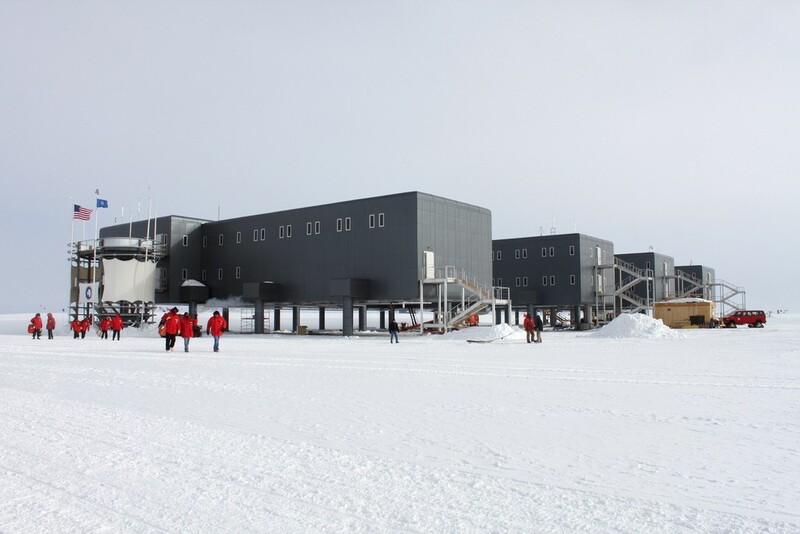 Once at the South Pole, you might also be able to do a tour of the research station there.